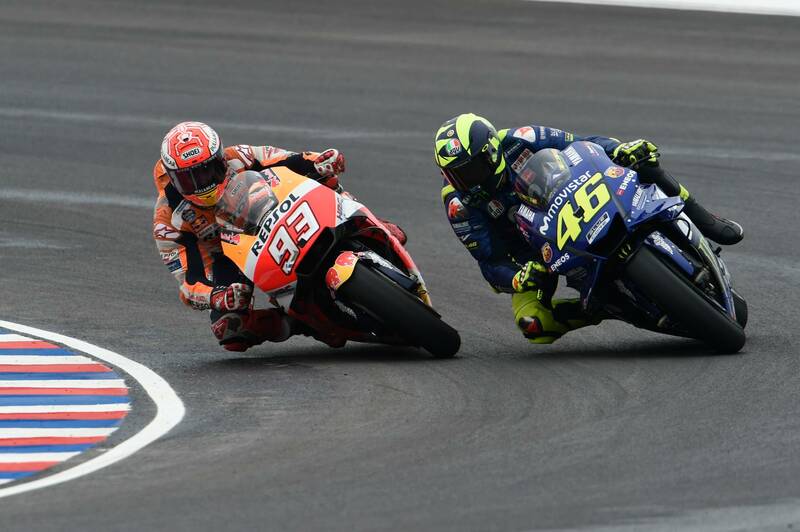 'Argy-bargy' between Marc Marquez and Valentino Rossi sees reigning champion handed 30-second penalty after Argentina MotoGP. 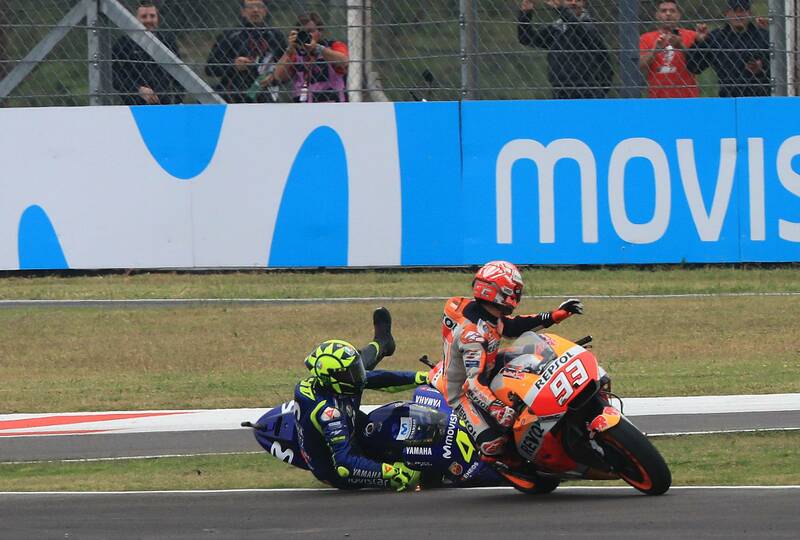 This video and picture sequence shows the moment when Marc Marquez indulged in some 'argy-bargy' with Valentino Rossi in Sunday's Argentina MotoGP – leaving the Italian on the ground. 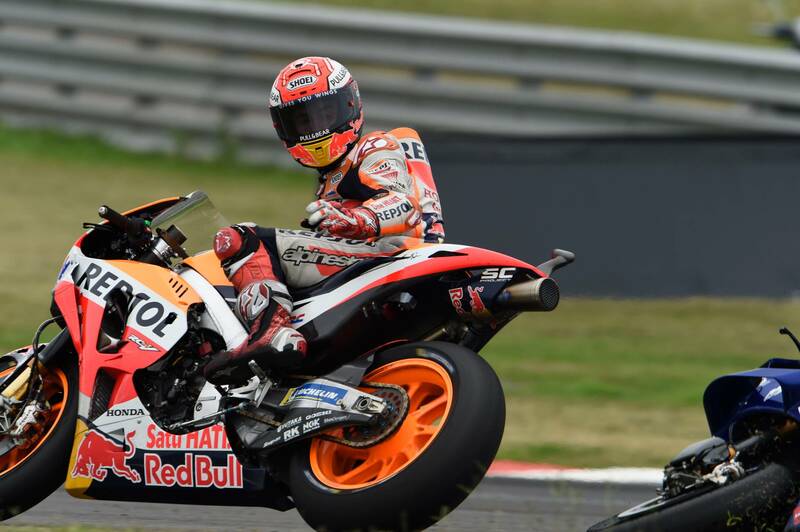 Marquez - who had already been penalised once for knocking into Aleix Espargaro at the same Turn 13, plus a ride-through for refusing to leave the grid after stalling at the start – was handed a 30-second penalty, dropping him from 5th to 18th. But that was no consolation to Rossi, who finished outside the points in 19th due to the fall. 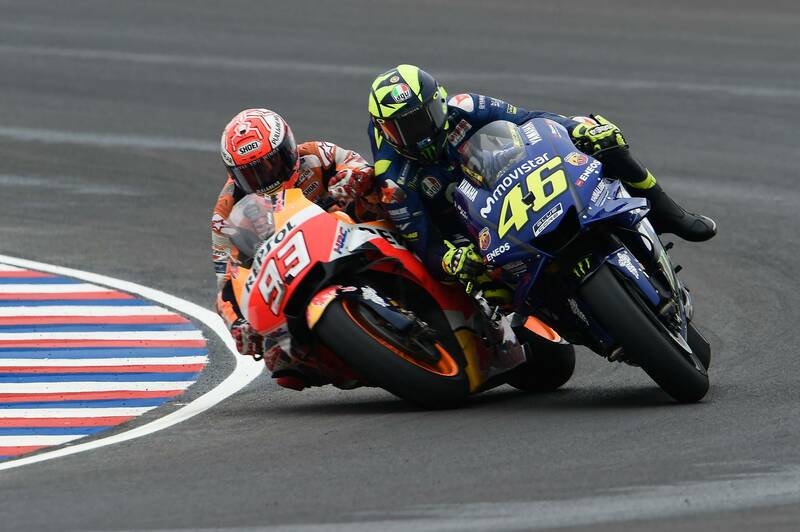 Marquez attempted to apologise to Rossi after the race, but was sent away from the Movistar Yamaha pits. Marquez arrives into the turn far too hot. Rossi runs onto the grass and falls. Marquez rides on and finishes the race in 5th after also passing Rossi's team-mate Maverick Vinales, but is later penalised 30-seconds.